Kennedy Law Associates is one of the few dedicated family law firms in the south Charlotte area of North Carolina. The firm’s philosophy is to help our clients find a more civil and amicable way to divorce. Litigation is by nature an adversarial process. However, an adversarial approach can have a high emotional and financial cost. Our lawyers favor mediation and collaborative law as less adversarial ways to reach an agreement. We believe that two people can reach a better decision than a judge who has only a snapshot view of your life. However, if litigation is necessary, our attorneys are willing and able to take your case to court. The Charlotte divorce lawyers at Kennedy Law Associates are committed to helping our clients successfully navigate the emotional and legal aspects of divorce and begin the process of rebuilding and restoring their lives. Attorney Marsha Kennedy leads divorce workshops to help people throughout Charlotte deal with divorce. She also works with the Council for Children's Rights to help children who are suffering due to divorce. She also serves as a parent coordinator to help parents find solutions to the unavoidable conflicts that occur in parenting after separation and divorce. Divorce, no matter how amicably it is handled, is damaging and challenges the very foundations of our being, our self-respect, faith, beliefs about family and our ability to trust. The effects reach beyond us to our children, friends and families. It has almost become expected in our society that people facing divorce should do so with anger and malice. It is our sincere belief that this only causes more loss and destruction. 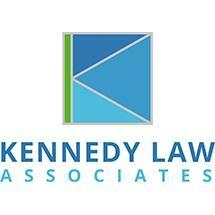 Kennedy Law Associates was founded with the belief that there is a better way. Our attorneys are here to help families navigate this transition with grace and dignity. We will help you not only with the legal aspects of your case but encourage you to use it as a turning point in your life, and build a new life absent of conflicts and stress. Divorce doesn't have to be a difficult process in North Carolina. We live in a no-fault divorce state, which means that neither side has to prove that the other side was at fault for the breakup of the marriage. In North Carolina, you must live separately for one year before you can file for divorce. Many people do not understand exactly what it means to live separately. North Carolina can order one spouse to pay alimony or support to the other while they are separated andafter divorce. t is never too early to begin thinking about your family's future. Proper estate planning can help provide you with peace of mind and help avoid confusion among your family members. In North Carolina, any parent, relative, or other person, agency, organization or institution claiming the right to custody of a minor child may institute an action or proceeding for the custody of such child. N.C.G.S. 50-13.1.